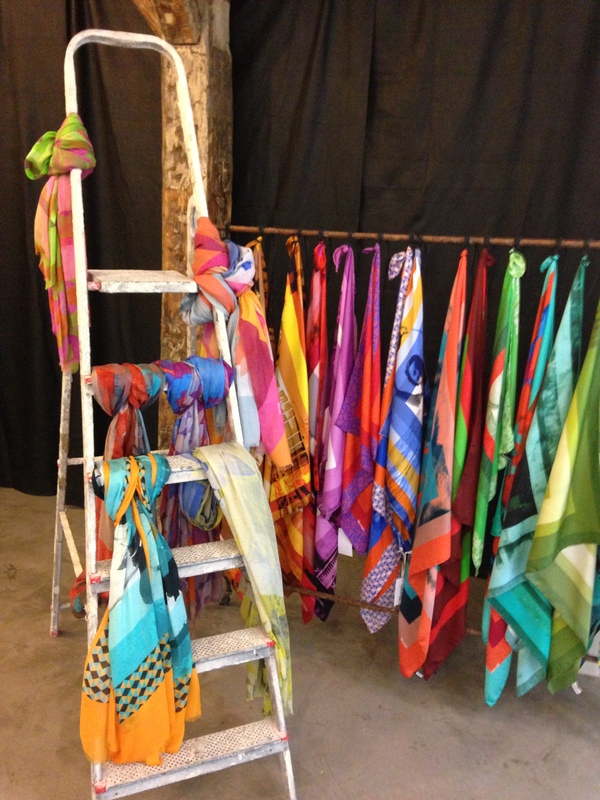 Recently, I went to a press day at the office of Cristofoli Press, a Paris based fashion public relations firm. I first met some of the staff, including Josiane Cristofoli herself during Paris Fashion Week. 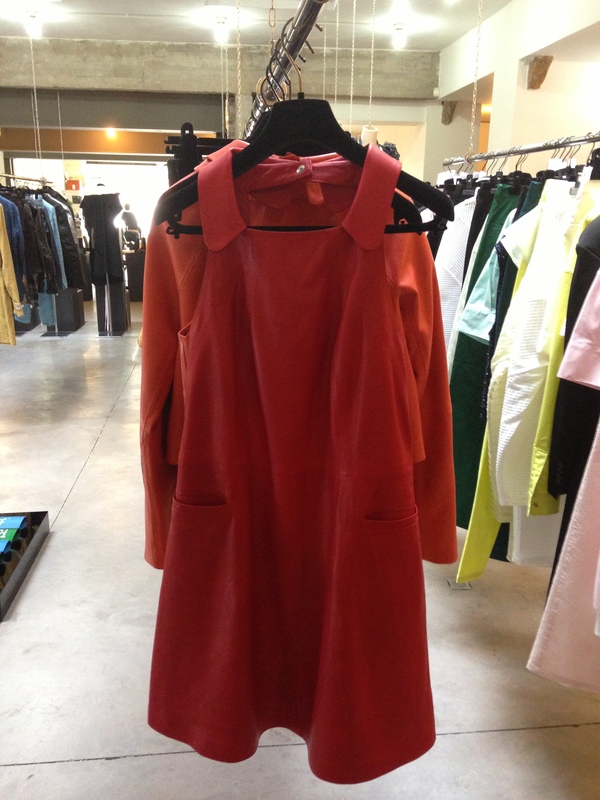 They hold biannual press days showcasing some of their clients’ collections for the upcoming season. Having gone to two of their clients’ shows during Fashion Week, some pieces were familiar. Here are some of my favorite pieces from the collections. This two-year-old French line is very unique because it is unisex. Specializing in streetwear, it is full of very casual pieces, with a separate line of just t-shirts. I noticed an interesting use of what seemed to be nylon throughout the collection. Having worked with Alexander McQueen, this brand has more than established its place in the fashion industry. The current collection takes the form of mostly dresses, with bizarre, yet feminine prints. I personally favored the use of boas, adding that fun “dress-up” feel. It was the educational background in the arts and many areas of fashion that inspired Phillippe Mermi to create this line of silk scarves. The use of various colors and prints makes them all unique. 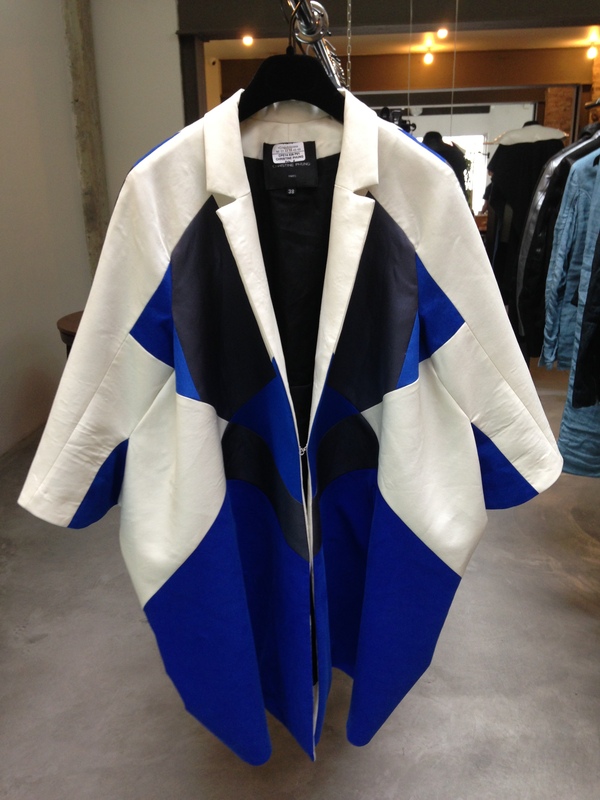 This French based brand is very big into the use of geometric shapes. 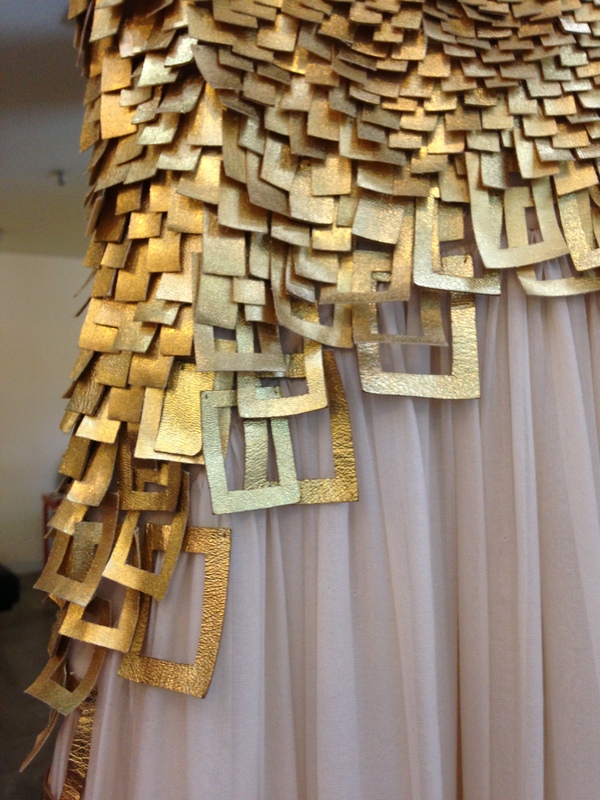 The designer invented a type of fabric using rubber that is used in many of the pieces, making them stand out. Being from Mongolia, this designer stays true to her roots and incorporates details from her homeland into her clothes. 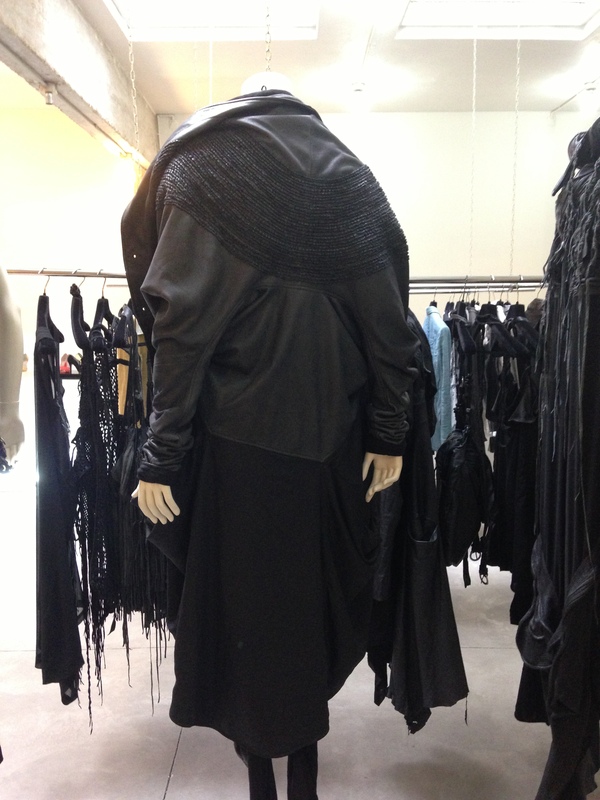 The use of braided leather in almost entirely all black, gives this masculine looking collection a feminine twist. 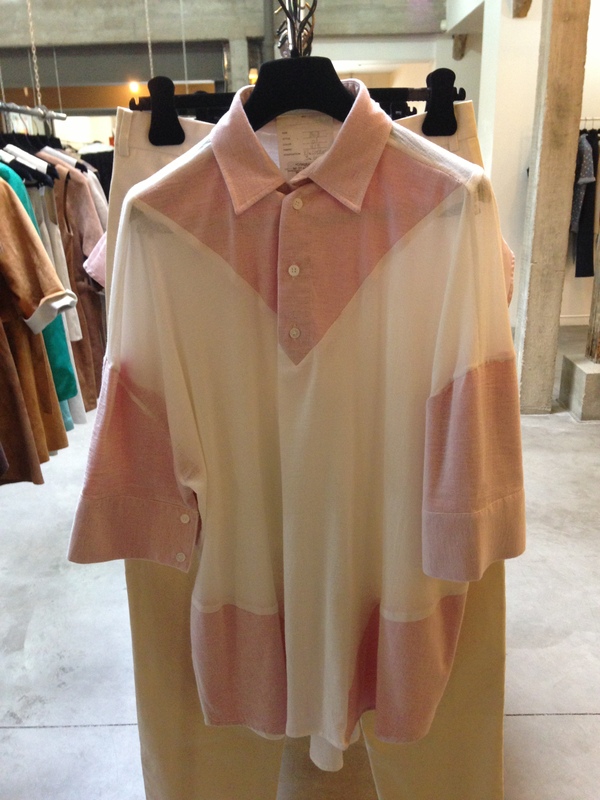 Pastel color blocking was heavily used in this collection. Son of a tailor, the carefulness in the lines of the pieces is duly noted. 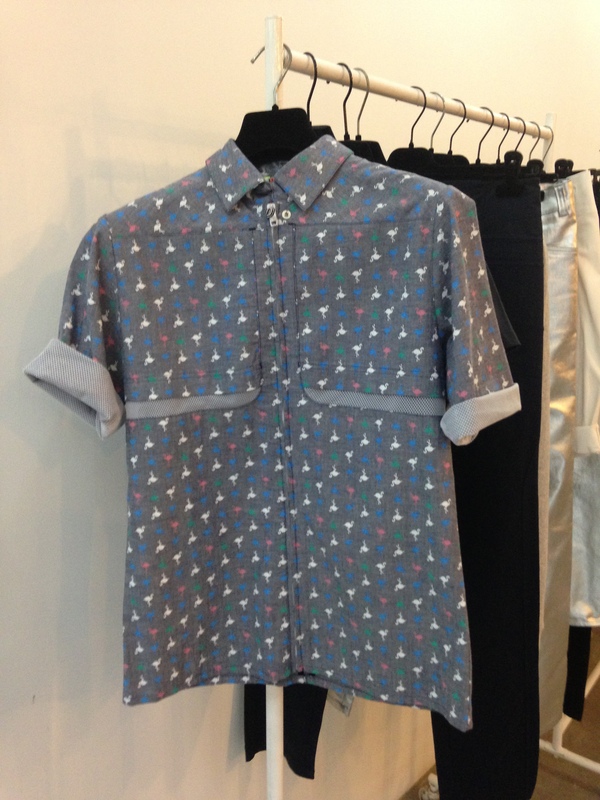 Some of the pieces from this line are also unisex, giving roundness to the shoulders to make it wearable for anyone. This was one of my favorites by far. Almost an entire suede and leather collection, the use of bright, bold colors was amazing. 1960s inspired cuts, like in the dress you see here, are flirty and fun. On the other hand, suede vests with fringe bring out the hipster side. 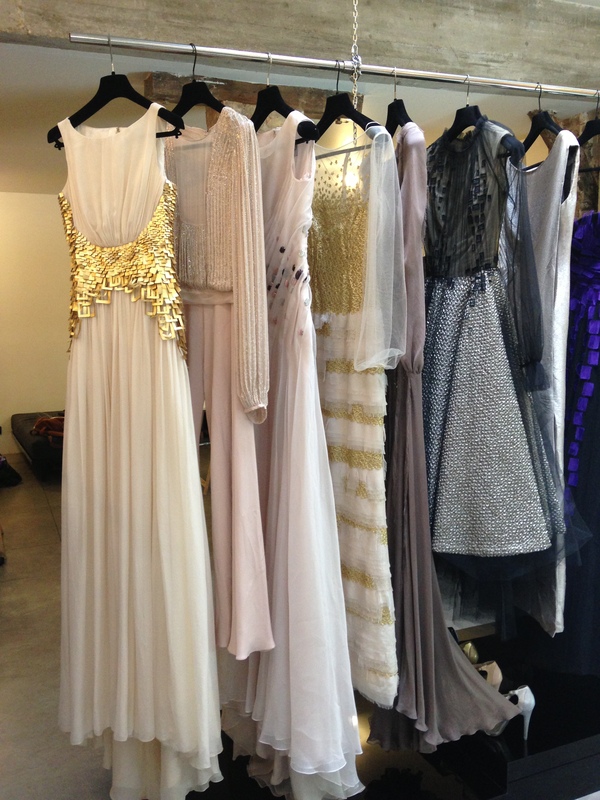 Couture gowns at their finest is the best way to describe this brand. Sheer arms, extensive bead work, and geometrically infused applications was the trend. The entire collection is red carpet worthy. Strictly a men’s line, at least for the moment, it specializes in the use of thin linen clothing, but leather outerwear. 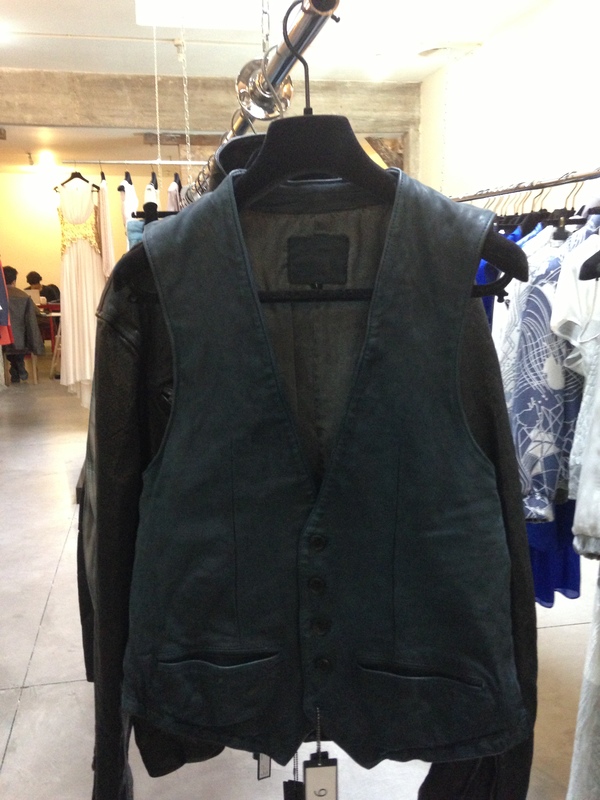 I liked this leather vest the most, because it gives a rocker feel to this otherwise preppy collection.